Lighthouse school has been riding with RDA since last year and we are just coming to the end of this year’s 10 -week term. RDA has given positive feedback regarding our students who have been riding with them since last year. 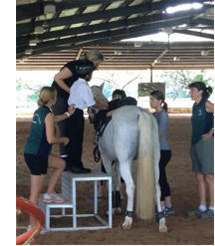 The trainers have seen physical improvements in the students’ balance and posture, their ability to mount their horses with more independence. The trainers have also seen great progress in the students in areas such as social interaction as well as their behaviour. Our students have also improved in their patience and understanding of what was expected while riding on their horses. The 12 students from the special classes have been focusing strictly on riding skills.They have improved and progressed so much in this area that they are riding and steering their horses with much confidence. 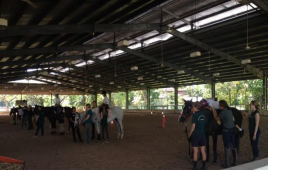 The students have thoroughly enjoyed and learnt about handling horses from the 10 sessions. COPYRIGHT © LIGHTHOUSE SCHOOL. ALL RIGHTS RESERVED.